frequency data is not available at all or sometime it is available only over smaller intervals. compared to the close to close return data that is conventionally made use of. target, by providing enormous investment opportunities to investors and portfolio managers. volatility estimators and models to measure and forecast volatility. behaviour in a market setting. exchange rates and banking sector under the influence of shocks. Granger and Engle, 1993) are popular asymmetric GARCH class models. differencing parameter indicates the order of integration of the financial time series. of the random walk hypothesis which support the weak-form efficient market hypothesis. managers and asset allocation decisions makers. 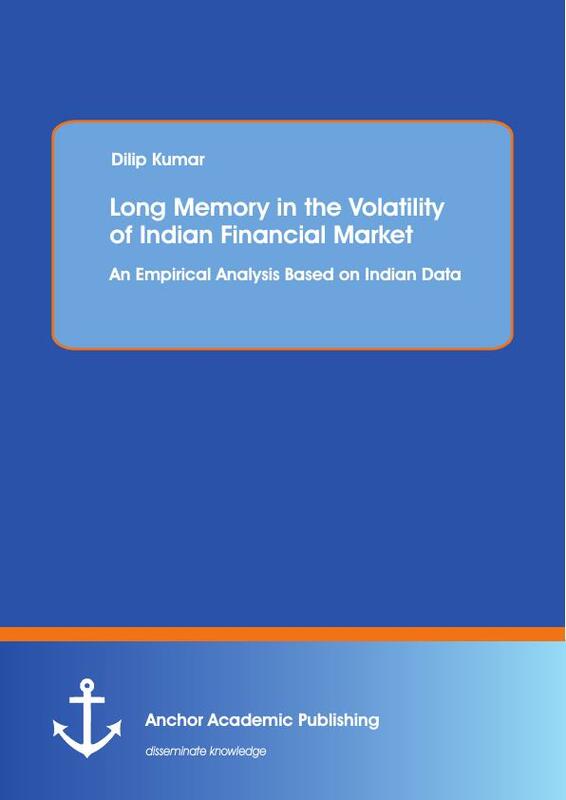 the financial time series and estimation of long memory parameters. the time and the frequency domain. of volatility in the Indian stock market. that are mainly focused on the long memory property of volatility in the Indian stock market. of the main proxies of volatility and the asymmetric behavior of the conditional volatility. in the US stock market. 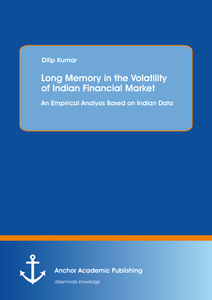 investigate the asymmetric long memory features in the volatility of Asian stock markets. to 2006 on various sub-periods (pre-crisis, crisis and post-crisis) and find mixed results. (0,1) is a long memory parameter and called the Hurst exponent. approach, exact Local whittle approach and discrete wavelet transform approach. for I = 1, ... . ..., n.
for i = 1, ..., n.
(OLS) linear regression over a sample of increasing time horizons. then H > 0.5 and for an anti-persistent process (i.e., with mean reversion), H < 0.5.
of R/S analysis for small n.
statistics is known as R/S-AL. where H is the Hurst exponent and 0 < H < 1.
properties of the rescaled range are affected by the presence of short-range dependence. the weights suggested by Newey and West (1986). (q) is contained in the interval (0.721, 2.098). Hurst exponent can be used to identify the long memory properties of the time series. any structure of autocorrelation within these blocks (Cajueiro and Tabak, 2004, 2005). approach to calculate Hurst exponent (Cajueiro and Tabak, 2005). A major issue on the usage of the Local Whittle test is the choice of bandwidth parameter m.
Phillips and Shimotsu (2004) find that if the value of d lies in the non-stationary region (i.e.